I have been in Norway twice on 2004 and 2005. During my trips I had the occasion to take many personal photos and to visit almost all the key places were KM warships were living their operative careers. 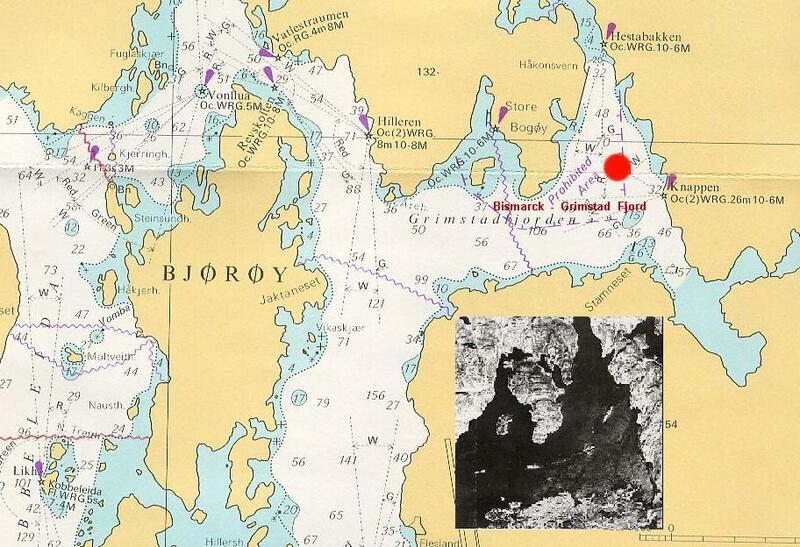 I had since many years studied all the Fjords already on naval maps, and the ships anchorages on available old photos. So I would like to start sharing my material and knowledge with you and enjoy it. 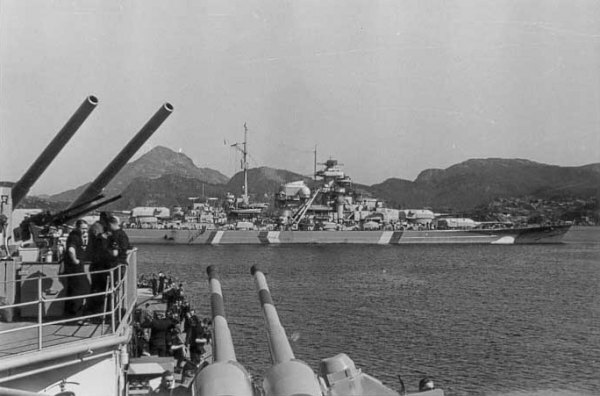 First of course I must cover Bergen, the Bismarck and Prinz Eugen anchorages during operation Rheinubung. 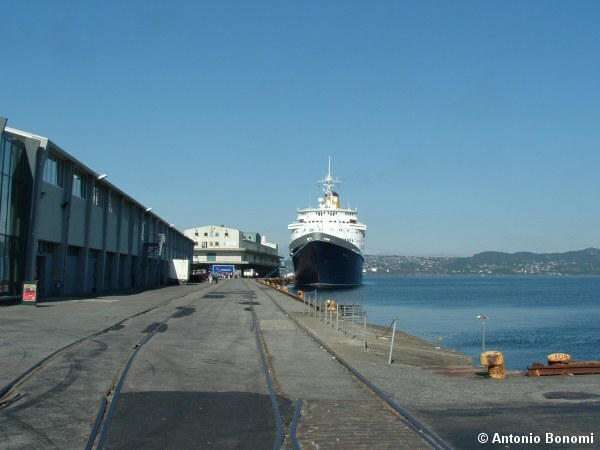 So I provide you a link to a very helpful Norway website where you can find current very detailed maps that you can zoom in and out to find the places we are looking for, and some references to the ships history. Then you can click on Bergen and zoom in and out ( than you can switch from kart to fly photo too ). Last edited by Antonio Bonomi on Tue Dec 20, 2005 4:08 pm, edited 1 time in total. During my 2 Norway trips I took hundreds of photos with my digital Fuji camera, many with my old Nikon F3 camera (just to be sure I had them anyway) and dozens of films too. 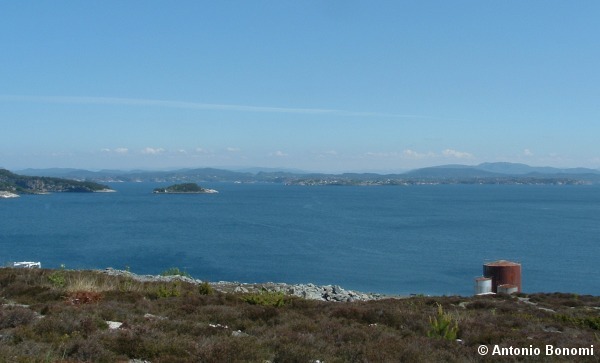 1) Grimstad Fjord as seen from almost the same position where a very famous photo was taken of Bismarck from Prinz Eugen. 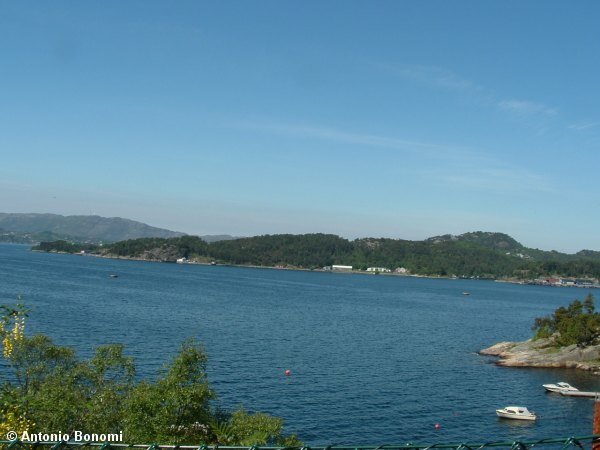 2) Inside the Grimstad Fjord, where Bismarck was moved to be re-painted removing the Baltic stripes camouflage. 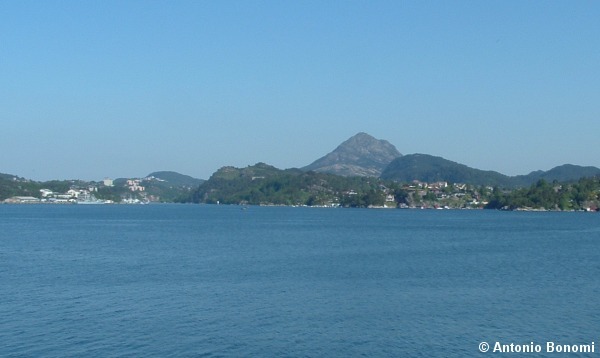 3) Kalvanes Bay where Prinz Eugen and the destroyers were anchored, note the small island of Gaupa on center left. 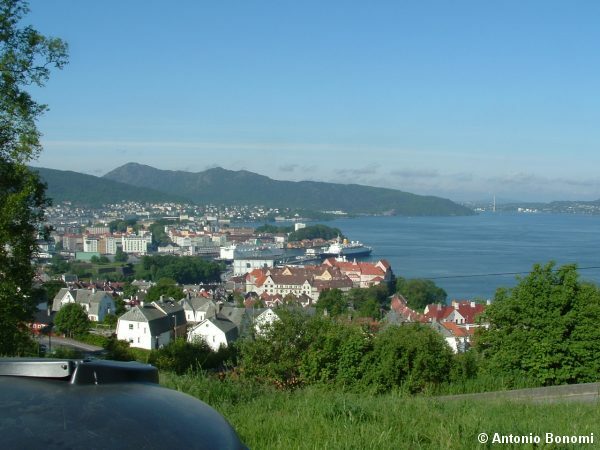 4) Bergen harbour downtown, were the light cruiser Konigsberg was sunk on 10 April 1940; Konigsberg was anchored exactly where the ferry boat is anchored on those 2 photos. Now the fun is to compare those ones with the old ones and the maps, so you got the exact perception of the place. 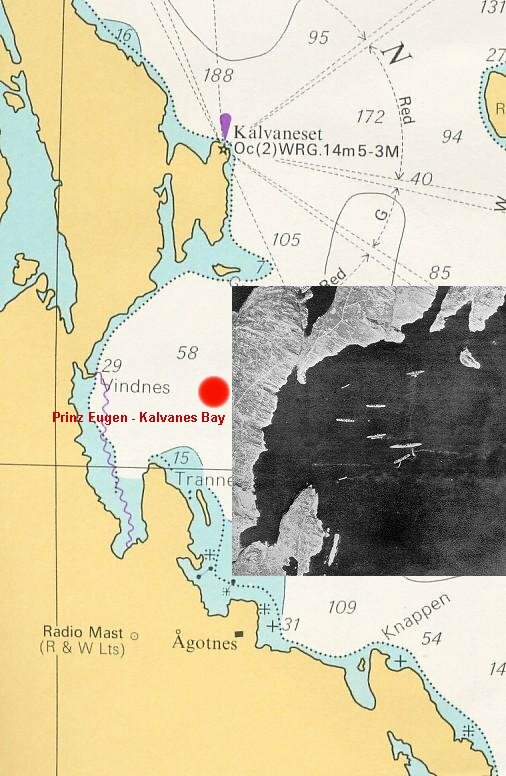 Bismarck and Prinz Eugen entered Bergen Fjords area from the south thru KorsFjord, anchored and then sailed north outside the Bergen Fjords thru the Hjelte Fjord. With the maps zoom option on internet is very easy to follow them thru. Last edited by Antonio Bonomi on Tue Dec 20, 2005 4:10 pm, edited 1 time in total.